Community-based organizations (CBOs) leading the U.S. food justice movement have helped expand community food production. Understand­ing the nature of this work is one key to being able to more effectively support and expand it. The literature, however, contains little scholarly work characterizing production-related practices of food justice CBOs. To help fill that gap, this paper draws from participatory action research with five CBOs to identify and characterize their community food production activities and goals. 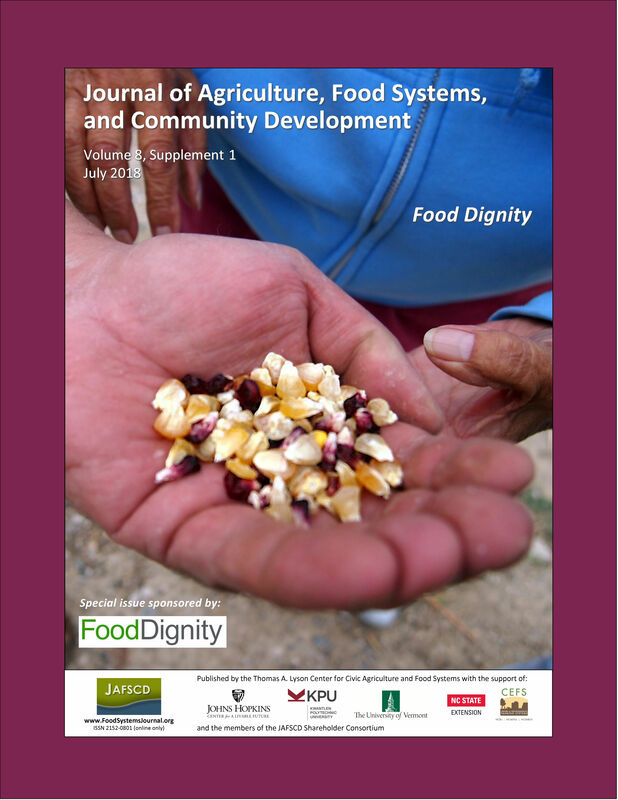 This research was conducted over five years, during a project called Food Dignity, using three main methods: digital storytelling; collaborative pathway modeling; and conventional case study methods that included interviews, participation and observation, and document analysis. These data sets were examined to identify what production activities the CBOs support and why they under­take them. systems, and (8) integrating their activities with community (as opposed to food) at the center. The CBOs’ goals for these activities are transforma­tional, including achieving community-led and sustainable food security, health, and economic equity. The CBOs’ crosscutting activities and long-term goals point to supporting and assessing out­comes that include food production and access but are also nonfood related, such as leadership devel­opment and feelings of belonging or owner­ship. Their wide range of food production activities and social change goals need more support for expan­sion, trial and error, documentation, and assess­ment. In particular, intentionally supporting food justice CBOs in their crosscutting strategies, which are foundational and yet less visible and under­funded, may multiply the range and reach of their impacts.